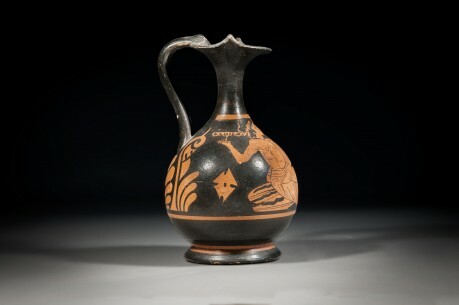 CivilizationGreek period, 500 B.C.E. - 400 B.C.E. 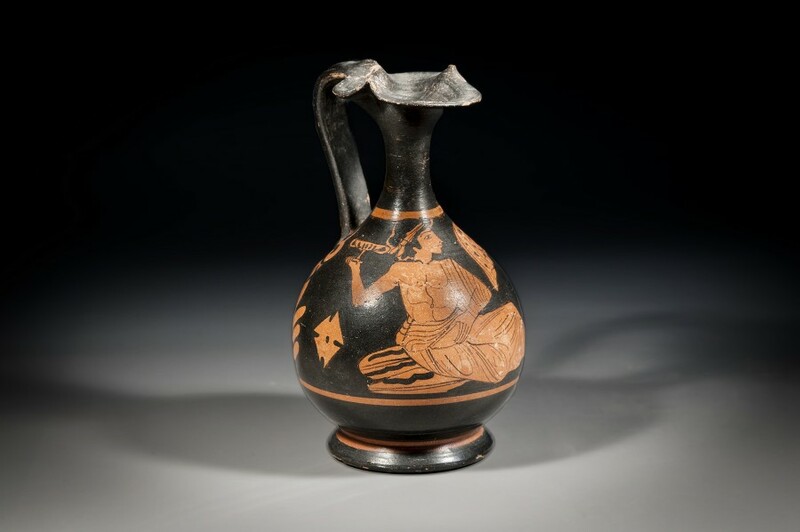 The term olpe traditionally refers to a jug used for wine, so it is no surprise that the eye-catching art on the body of this piece depicts a scene of leisure and beauty. 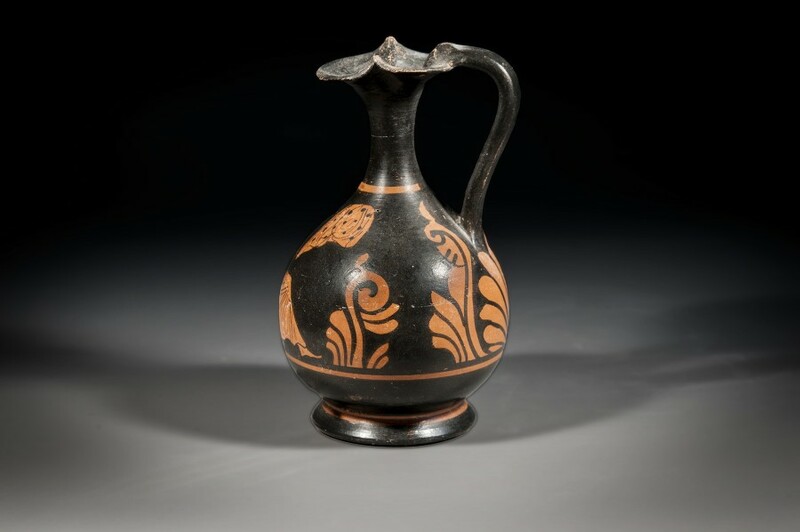 This piece was made in the traditional style of Greek pottery, painted black and tan with stunning detail and grace. We see a young man who seems to be resting in a contended fashion, dressed in light robes and clutching a bowl in his left hand. The large fronds of botanical designs complement his easy repose, framed by two tan bands at the body’s top and bottom. 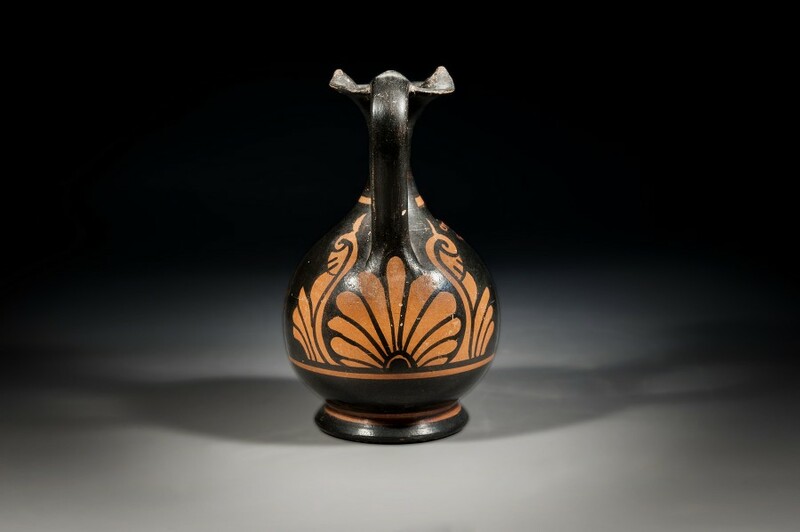 Above it all, the olpe’s mouth is shaped in a large trefoil to allow the wine to flow freely into each and every cup. Measuring 15 cm in height, this piece remains in excellent condition and dates from approximately 500 B.C.E. 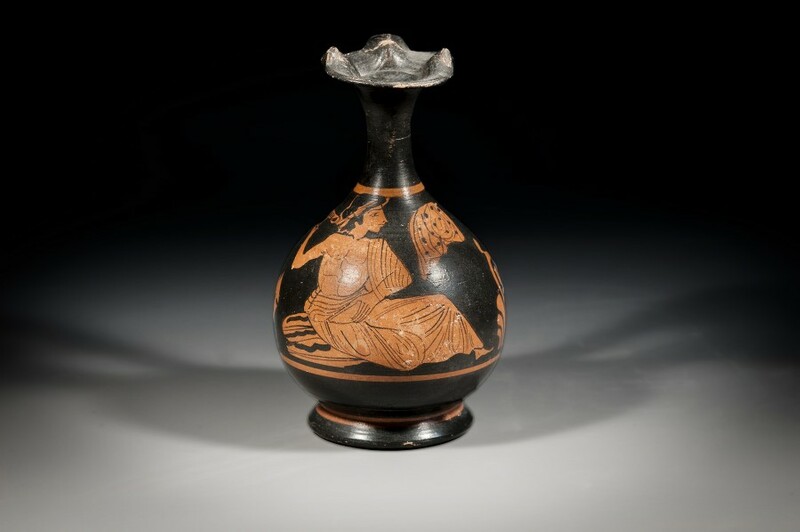 – 400 B.C.E.